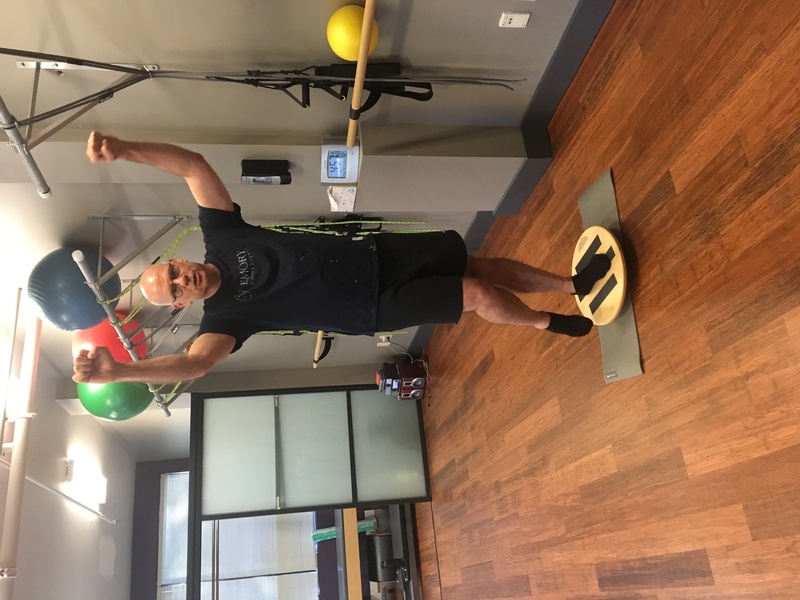 Many of our clients come to Soma from a clinical referral, consistent pain, or dissatisfaction with other movement modalities. 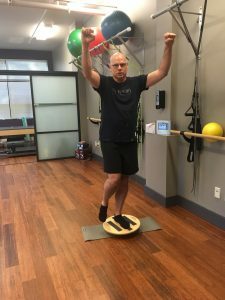 One of our now regular clients, Dan Perry, came to Soma after finishing his physical therapy sessions, wanting to extend his post-rehabilitative process. He takes privates and small group sessions 2-3 times a week, and his sense of humor and support of other clients is a delight. 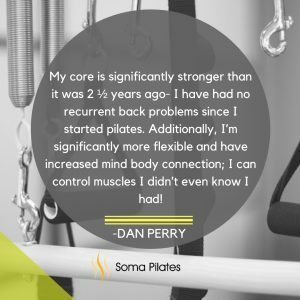 Q: When did you start Pilates and what led you to Soma? A: I started Pilates about 2 ½ years ago when I was suffering pain from a bulging disk in my low back. My research indicated that the best way to extend my physical therapy was with Pilates. I did some reading on Joseph Pilates, and liked the approach. The fact that the exercises were conceived and evolved as a means of rehabilitation appealed to me. Soma came into the picture because I liked the approach and philosophy described on the web site. I also liked that it was on my way back to Seattle from work. I could either sit in traffic or workout, get stronger, and make my back less likely to go out again. Being pain averse, it was a simple decision. A: My favorite movements from Pilates are actually just any kind of pain free movement, just simple everyday moving is good. I like balance challenges, movements that make me think, and anything involving my hip flexors. Who knew you even had those? Certainly not me!